Difference of framerates shown in tenth of a second. For a list of games with support, see high frame rate support (120+ FPS) or 60 FPS support. For a list of games without support, see games that do not support 60 FPS. High frame rates make gameplay feel and look smoother, reduces input latency, and may make screen tearing and stuttering less noticeable. When used in conjunction with a higher refresh rate, motion blur is also reduced significantly (especially combined with low motion blur technologies), as well as enables the ability to play in stereoscopic 3D with active shutter glasses on certain monitors (e.g. Nvidia 3D Vision). High frame rates require the GPU and CPU to work much harder, causing higher temperatures and power draw. This is more significant if there is no frame cap set. Some games may not be optimized for higher frame rates and may cause noticeable glitches (particularly with simulated physics) the more the frame rate increases. Many games therefore employ a frame rate cap, but others have one (usually at 30 or 60 FPS) for no discernible reason; this is particularly common in ports. 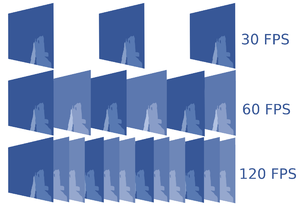 Frame rate or frame frequency, often measured in frames per second (FPS), is the frequency (rate) of which frames (images) are rendered at. It is a general concept not unique to computer video games, although it is an important aspect for video games as it can affect the quality of the game experience. High frame rates look good - smooth and fluid; low frame rates look bad - uneven and laggy. This perception of the game experience is because games are interactively controlled and frames are generated as still points in time with no natural motion blur. This makes it easier to notice jerky movement, while in other media motion blurring occurs naturally. 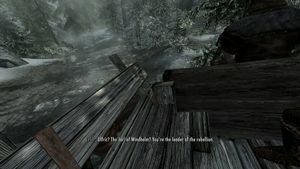 Many games do offer simulated motion blur as a graphical option but this can distract even more as the player might be unable to clearly see what happens on-screen in fast-paced sequences. The achieved frame rate is different for every game and setup and depends on both software and hardware as rendering is quite complex with multiple factors involved. The newer the game and the higher the graphical settings, the harder the computer will have to work to render the frames, which results in a lower overall FPS. Although generally more powerful and expensive hardware will have a higher frame rate, and vice versa. A side effect of the complicated nature of rendering and the factors involved is that problems with the frame rate of a game or multiple games might not always be easy to solve, and may at times not even have a solution. To better perceive and understand the difference between various frame rates, some form of comparison media can be used. There are several different ones, including websites (listed below), GIFs, and 60 FPS videos on YouTube. Content on YouTube and GIFs are usually bad to compare as the overall quality might be lowered as a result of the compression applied, or only showing FPS to a certain degree; GIFs have a maximum of 50 FPS, YouTube might default to 30 FPS for playback, and most movies are filmed at 24 FPS. Also, keep in mind that games are interactive media so a higher frame rate might not only look different but also feel different when interacting with the game. FPS counters are a simple way of measuring the frame rate of a game, and showing average FPS over a short period of time. Most games with built-in FPS counters will use a key combination or console command to toggle the FPS counter, see game-specific articles for details. Alternatively, many third-party injectors drawing an overlay above the game supports measuring and showing a frame rate counter as well. As this is quite a common feature to see, practically all mainstream overlays support the feature, including Origin, Steam, Uplay, Fraps, MSI Afterburner, RivaTuner Statistics Server (RTSS), Special K, and more. Some FPS counters, such as RivaTuner Statistics Server (RTSS) and Special K, supports more in-depth frame statistics and can show the frame pacing as a graph over time as well. The easiest and most effective way to increase the frame rate of a game is to simply lower the graphical settings available. This is also one of the greatest advantages of PC gaming as some users may prefer a higher frame rate and smoother gaming experience at the acceptable cost of visual fidelity, a choice not always available on other platforms. It is also possible a game-specific bug or issue is causing a lowered frame rate if a surprisingly low FPS is experienced; check the game-specific articles to see if this is the case and whether a possible fix exist. If the frame rate is really low even with minimum settings, the best solution is to try to upgrade the hardware. 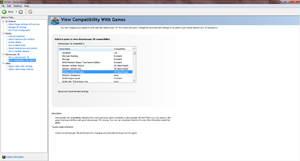 Although some games allow going even lower with settings by editing configuration files, this typically requires time-consuming manual tweaking and testing and the results may not be satisfactory. Refresh rate, most commonly the vertical refresh or scan rate, refers to the number of times per second a display refreshes (updates) its buffer, measured in hertz (Hz). While the frame rate measures how many frames of the game the system is capable of rendering per second, the refresh rate basically measures the maximum number of individual frames the display is capable of showing per second. Regular computer monitors use a fixed refresh rate, and typically supports 24, 30, 50 as well as 60 Hz refresh rates. This means using a frame rate above the configured refresh rate results in rendered frames that the monitor will be unable to show, while a frame rate below the configured refresh rate will result in the repeated drawing of identical frames. When the frame rate and refresh rate of a monitor are not synchronized, a phenomenon known as screen tearing occurs when the graphics card outputs a new frame to the monitor while a refresh is ongoing. This is solved by using vertical sync (Vsync), which forces the graphics card to limit and synchronize the rendering of new frames to the vertical refresh rate of the monitor, or by using a monitor with support for variable refresh rates (VRR) to allow the refresh rate of the monitor to dynamically be synchronized to the output of the graphics card. Using a higher frame rate in conjunction with a higher refresh rate monitor, it is possible to show more frames which can result in an even smoother and more responsive gameplay. But just like with higher resolutions, perceived differences at higher levels are much smaller although it can still make gameplay more enjoyable and reduce the need for features like motion blurring and vertical sync (Vsync). Stereoscopic 3D in Nvidia Control Panel. For example Batman games have native support. Virtual reality devices use stereoscopic 3D. One of the less used features of high refresh rate displays is the ability to play and view content in stereoscopic 3D. There are a few reasons for this; it usually requires buying separate 3D glasses kit with transmitter, some displays only support certain graphics cards (e.g. "Nvidia 3D Vision Ready" monitors usually only work with Nvidia GPU) and games not designed with it in mind can experience depth related issues with crosshair, shadows, object depth, and more. Most 3D HDTVs do not accept a 120Hz input but this can be forced; see Blur Buster's True 120Hz from PC to TV for testing results. With some monitors, it is possible to turn on LightBoost which almost completely eliminates motion blurring. Lightboost is normally used when displaying 3D modes and content so it is not available for regular use by default. There are a few ways to enable this with Asus and BenQ monitors and the easiest way is by using the ToastyX Strobelight program. With Samsung monitors simply configure the refresh rate of the PC to 120 Hz and on the monitor configure Response Time to Normal and enable 3D. The original LightBoost hack showed that there was a demand for a low motion blur mode among users, and soon after the initial reveal of the hack manufacturers started to incorporate it as an official feature of their monitors as a blur reduction mode. The main difference from the original hack is that its successors produce much better colors and gamma. Can fix games that breaks on the wrong frame rate (such as the engine's clock running at over double the intended speed). On fixed refresh rate monitors, may solve the micro-stuttering that happens when frames time is far from being a multiple of refresh period in (i.e. stable 45FPS on a 60Hz screen would have every odd frame delivered after 33ms, and every even after 16). Might disrupt frame time analysis algorithms that govern VRR, if the limit is placed just over the (dis)engaging threshold. Capping the frame rate with external tools introduces input latency, particularly so if they are driver-provided ones. Capping (limiting) the frame rate of a game might be of interest to some as this have various use cases, whether that is to lower the temperature and noise levels to more manageable levels, lower the power draw of the system, solve high frame rate related issues of a game, provide an overall more stable frame pacing, or just in general decrease the FPS to a desired level and not allow it to go higher. Although the use cases varies, not all methods of capping the FPS of a game might be applicable as the methods differs and so does their (dis)advantages. See the table below for an overview of some of the common ways of capping the frame rate. There is also driver-provided solutions described further below. [Cap], FPS -> Set FPS Limit to (Uncheck "only when capturing"). Can be changed while game is running. Program must be running in the background. Requires administrator permissions to run. [Cap], Advanced -> Limit Video FPS. Game profiles, automatic when game is opened. Supports DirectX 12 as well as Windows Store games. Not freeware; requires a purchase after the trial have ended. Predictive capping, which can reduce input lag introduced with traditional capping. Only supports DirectX 9 games. Adds the least amount of input delay among external tools. [Cap] [Vsync], modify Framerate Limiter value via in-game OSD. Can be changed on the fly while playing. Frame rate smoothness control for more consistent frame rates. Controls both Vsync and frame rate. May run into compatibility issues with some games and external software. Supports DirectX 9, 11, and OpenGL. Vulkan is partially supported. Controls both Vsync and frame rate. Can provide the lowest added input latency if implemented correctly by the developers. No need for external tools. Not available in all games. Disadvantages depends on how the limiter is implemented by the developers. Some games might have a worse FPS limiter than the ones provided by external tools. Change monitor refresh rate to the desired frame rate number and enable Vsync. Should only be used based on the premise you already wanted to get rid of tearing to begin with. Even slightly missing the vblank window will cause stuttering otherwise (input lag instead, if multiple buffering is used). If the target refresh rate is not your usual one, and if the game doesn't support arbitrary ones, every time it is launched and closed they must be manually switched. Adaptive/Dynamic Vsync with half refresh rate setting. Offered natively for both Nvidia and AMD in their control panels. Applied automatic when game is launched. Only works right with 120 Hz monitors if game has to be running at 60 FPS. May not work as intended with all games. 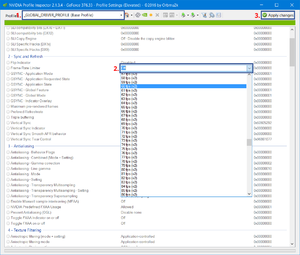 Select desired profile or add custom profile. Set Framerate limit to desired value. RTSS comes with EVGA Precision XOC and MSI Afterburner, but may be outdated. Setting a locked framerate to a "global" configuration can result in worse frame times, as well as in severe input lag, for much better results refer to create individual profiles for each game/program. Even when not running, just having the program installed adds a small amount of input lag for both windows, as well as for applications/games. In some cases, having it installed can produce erratic behavior for some games, such as frame pacing issues, stuttering, and capping fps without configuration. Driver-provided solutions tend to have a higher cost of added input latency than built-in or external FPS limiters. AMD provides two options to limit the frame rate of a game, FRTC (frame rate target control) and Chill. The intended goal of both are slightly different. FRTC ensures a steady output of frames from the GPU to the display, at the cost of input lag. Changes to the FRTC must be done prior to launching the game. Chill ensures a steady stream of frames is sent from the CPU to the GPU, at the cost of fluctuation in the output stream from the GPU to the display. This is intended for use with variable frame rate and refresh rate monitors and lowers input latency. Download and install the latest version of Radeon Software. While the game is not running, use Alt+R to open the Radeon Overlay. Enable either Radeon FRTC or Radeon Chill by clicking on the desired feature and tweak the settings as desired. Close the overlay and run the game. Run the program and Add new profile. Select the corresponding game executable. Locate the Tweaks tab to the right and enable Dynamic Framerate Control. Set it as you desire. Right click on the just created profile on the left and press Apply now. Set Frame Rate Limiter to desired value. Set Frame Rate Limiter Mode to Limiter V1 for less input lag. Introduces as much input lag as v-sync does. The case for 30fps PC gaming - Why frame-rate control is just as important as display resolution and quality presets. ↑ Patch 1.1 - Why 60FPS Cap? 120hz+ Experience Killed :: Gauntlet™ General Discussions - "The cap was made to try and stop the problem of people's GPU overheating"
↑ Patch Notes :: Shattered Planet General Discussions - "Frame rate capped at 60 FPS to prevent overuse of system resources." This page was last edited on 27 February 2019, at 00:52.